The official Negroni 100 Art Competition poster. Campari, Italy’s iconic red bittersweet aperitif, has launched an open art competition as part of its 100th anniversary celebrations of the iconic cocktail Negroni. The art competition, which is being organised in collaboration with Allura – Malta Open Art Studios, is open to all established or up-and-coming artists residing in Malta and Gozo. Invented in 1919 by Count Negroni, who asked to add a touch of gin rather than soda to his americano, in honour of his last trip to London, the Negroni is considered to be one of the most famous Italian cocktails in the world. Negroni’s fascination stems from the fact that it is an equally balanced drink, made from three equal parts: one part gin, one part Campari and one part Cinzano Vermouth Rosso. Described as a ‘long drink in a short glass’, every Negroni created is an artwork in itself to be enjoyed and shared with others. 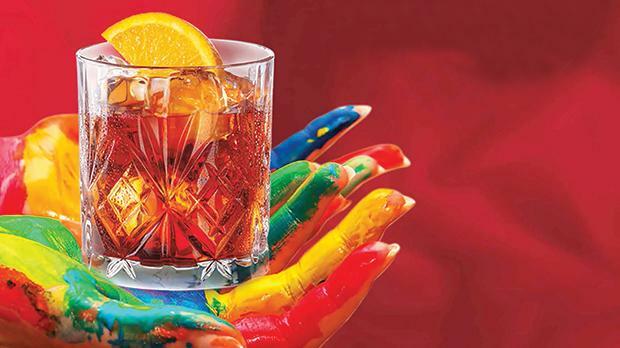 “This competition follows the Campari tradition of commissioning artwork by exciting contemporary artists who are already established or who are up-and-coming in their field,” Claudia Attard, Campari brand executive at Farsons Beverage Imports Company Limited, said. Artists wishing to participate in the Negroni 100 Art Competition will need to register their interest by January 31. For more information and registration forms, visit the Campari Malta Facebook page or send an e-mail to negroni100@farsons.com. Registration is free of charge.